MySQL is an open source relational database management system. MySQL is a component of the LAMP web application software stack, which is an acronym for Linux, Apache, MySQL, PHP. A web application using MySQL database have to authenticate via a MySQL user and password who has sufficient privileges on that particular database. So MySQL users play a key role in web application hosting. In this article, we will show you how you can list MySQL users and list all your existing MySQL users and how you can add new users via both cPanel and Command line interfaces. How to list MySQL users via cPanel GUI? Log in to your cPanel account and then on Databases section select MySQL Databases. In our system, we added only one user at present. 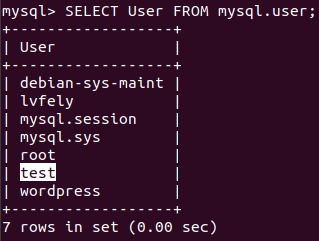 How to list MySQL users via Command Line Interface? It will be prompted to enter the password for the user. Now you entered MySQL CLI. All details about existing MySQL users are stored in a table named ‘mysql.user’. The ‘mysql.user’ table contains information about users that have permission to access the MySQL server and their global privileges. The above command trims off “User” column and lists only usernames. 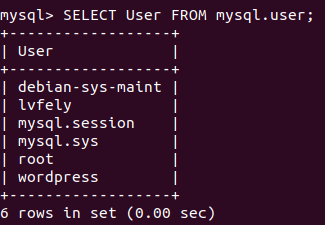 Now we have seen how to list MySQL users from both cPanel and Command Line. How to add MySQL users via cPanel? Scroll down, you will see Add New User. 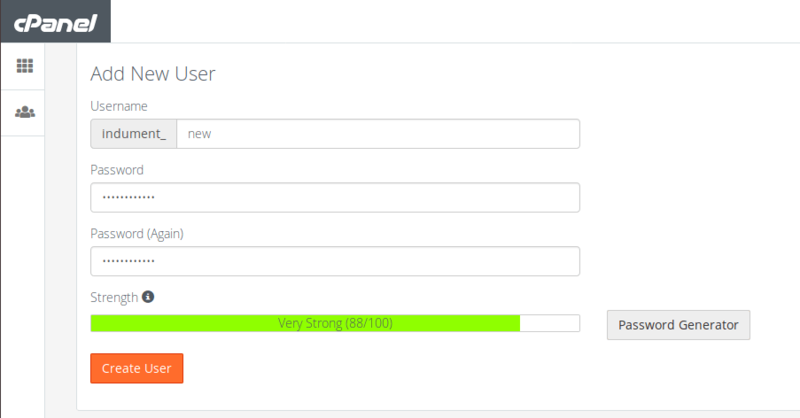 Enter the name of the user you want to add and create a password for this user. Click on ‘Create User’ button. You will get a confirmation dialogue on the next screen. How to add MySQL users via Command Line Interface? Replace ‘user_name’ and ‘password’ entries with actual username and password. In this other article, we explain how to grant MySQL permissions. 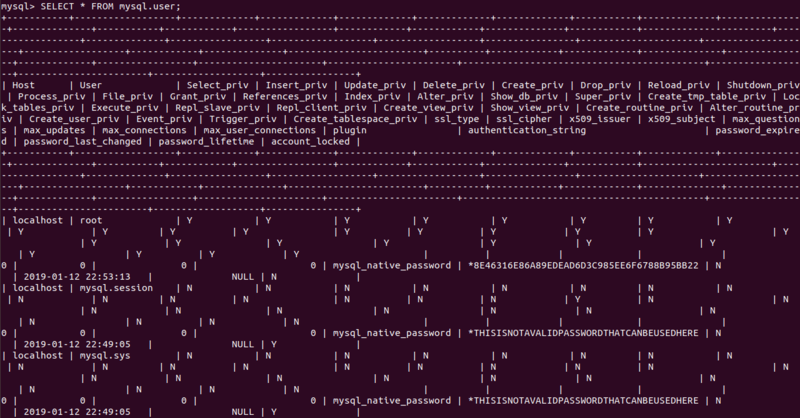 Note that whenever you list users in MySQL, you may want to confirm their permissions to access such databases. We also recommend this article about how to enable MySQL remote access.